The basis of social inequality in the authoritarian-oligarchic model of capitalism that currently exist in Russia is the horrible inequality of wealth distribution. Wealth distribution inequality in Russia is one of the highest in the world. On one end, we have people rolling in money, keeping it on their offshore accounts, buying real estate across the world. On the other end are flat-out poverty, microloans until pay day, the indigent «middle class» that is unable to purchase decent accommodation or save up enough for retirement. Such poverty and devastation simply cannot exist in a rich oil country like Russia. All political and economic reforms listed in our program must aid the reduction of social and wealth distribution inequality in Russia, primarily — fight against corruption, which is the main source of excessive inequality, measures to protect and stimulate entrepreneurship and a tax reform. Apart from that, we suggest to prioritize increasing the minimum wage, developing the market of affordable housing and reforming the social support system and the salary policy in the public sector. Minimum wage must be increased to 25 thousand rubles. Current minimum wage in Russia is lower than in many European and South American countries, including those that have a lower GDP per capita. The increase of minimal wage will result in increase of income of the most disadvantaged groups of citizens. Considering the high differentiation of average income between the Russian regions, the increase of minimum wage must occur throughout the country within 5 years, in most regions — within 2-3 years. Decisions on the pace at which minimum wage will be increased will be taken by regional authorities. The construction sector is one of the most corrupt areas in modern Russia. This is a source of fantastic income for state bureaucrats working together with oligarchic business structures. This is assisted by market being strictly regulated and the construction materials being monopolized. As a result, the housing prices and rents in Russia are too high for common citizens. The key to solving the problem of affordable housing lies in 1) thorough debureaucratization and demonopolization of the construction market and 2) ensuring an acceptable mortgage interest rate. The state can provide interest rates comparable to the developed countries. This will be done through partial subsidizing of the interest rate by the state and the regional authorities. The necessary funds will be partially obtained from making the property tax more progressive. To provide effective support to those who found themselves in a difficult situation, the disadvantaged and legally incompetent, we need to improve the targeting of the social support. Today, a significant part of funds under social programs is spent on categorial payments and benefits, so the funds get spread out thinly and do not reach those who really need them. Such situation satisfies the state bureaucracy, since it makes controlling the spending of funds more difficult. We need to increase the size of benefits, define clear criteria of need and ensure transparency and control over the distribution of funds. The differentiation of real labor compensation in the public sector will be significantly reduced. Today, the salaries of directors and management in state-financed institutions are many times higher than the average salary of common workers. 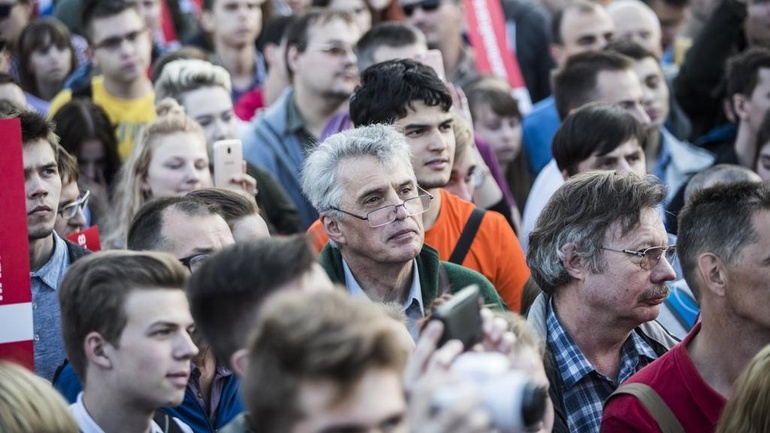 A pension reform is one of the strategic reforms the new Russian government relying on restored principles of democracy and people power will need to conduct. The new pension system needs to become the foundation of social world and stable economic development. Constant increase of the percentage of pensionaries in our population makes it especially important to create a pension system that would be fair and ensured that the elderlies have a decent life, but at the same time wouldn't become an intolerable burden for the working generations and hinder economic growth. Improving the quality of job market that would reduce the amount of gray salaries and informal employment. Combining the pay-as-you-go portion of the pension with the investment part and further developing the investment part of the pension. Pension funds saved up by the citizens, including those under control of state funds, will become an unconditioned property of the citizens and will not be seized under any circumstances. The state will return the citizens all pension savings confiscated after 2014. The requirements for forming pension savings will constantly increase, which will result in «long money» appearing in the economy. Creating the Future Generations Fund affiliated with the Pension Fund. Its assets will be formed through obligatory transfer of a part of incomes from natural resource export (mostly gas, oil and metals), state property management or privatization of state property and land, and compensational payments for the use of infrastructure created by previous generations. The incomes from managing all these assets will significantly increase the stability and security of the pension system. Creating efficient and fair economic stimuli for a later retirement, assisting the development of forms of flexible and distant employment for elderly workers. Ensuring real transparency of the pension system: the Pension Fund's budget will be approved annually by the Duma along with the state budget; more transparent ways of calculating individual pension will be introduced, open access of citizens to individual budget accounts will be provided. Most Russian citizens believe that the privatization of major state assets in the post-soviet era was conducted very unfairly, with multiple violations of the law. As a result, the major private property is illegitimate in their eyes. Unfair privatization, on one hand, has helped form an oligarchic economy in Russia. On the other hand, it creates conditions for constant revision of property rights, prevents setting out legal norms in the area of property relations and stimulates the merging of oligarch owners and state apparatus and social instability. People who have made colossal fortunes in five minutes must pay a compensational tax. To eliminate the consequences of these birth injuries of Russian capitalism and Russian statehood, we propose to introduce a compensational tax for the use of infrastructure created by previous generations. For that, we suggest to create a list of major businesses that got privatized within the last 30 years and introduce a special tax for their owners for the use of the infrastructure of former state enterprises that was created by former generations. The tax shouldn't be too burdening for the companies, it must take into consideration the average profitability standards for the corresponding sectors of economy, and it will be in effect for a limited time (for example, 10 years). 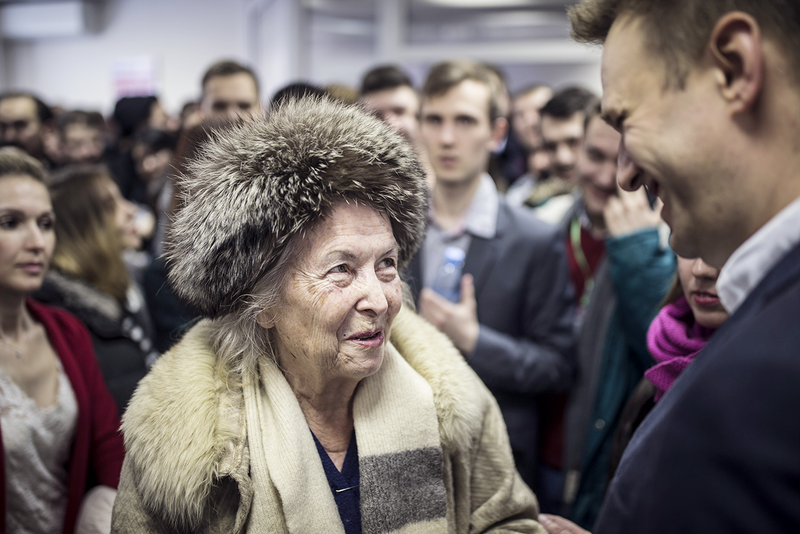 The incomes from this tax will be transferred to the Future Generations Fund of the Russian Pension Fund. The right to regulate compensational payments for the use of the infrastructure of former state enterprises must be transferred to the regions. The ultimate goal of this measure is to restore justice and strengthen the institute of private property in Russia.